I have wanted to learn how to knit for a while. In fact I have tried a few times over the last few years. But I finally was able to learn how to knit and actually make a finished project! In the past I’ve tried to learn with a book and a different time I had a knitting friend sit down with me but it just never clicked. I couldn’t get the feel of it from the book. And while I could do the stitches when my friend was around I found that on my own I was hopeless. I think it was just so easy for her to correct me or start me off that I didn’t really get it enough. But this last week I finished my Downtown Snood kit from We Are Knitters, it’s a kit that comes with EVERYTHING you need for the project (yarn, directions, needle, carrying case) and gives you access to tons of online videos that walk you through every step. I honestly think the difference this time for me was that I was set up for success. This is why I think I finally had my knitting breakthrough. I had EVERYTHING I needed. With the kit you know you have everything and enough of everything. There’s no question that you’ll have enough yarn to finish the project or got the right type and size needles or anything else you might need. I could practice at my pace. It might seem crazy that I watched two videos over and over for hours that combined were just a few minutes each but that’s what it too for me. Watching and doing watching and doing. With a friend I’d be to embarrassed to have them repeat that many times. I was able to review at my convenience and speed. I didn’t have a lesson and then had to remember it in my head and muscle memory. Nor did I have to worry about putting someone out asking them to show me again. I reviewed the video each time I thought I wasn’t sure. And at the beginning that was A LOT. If I had gotten stuck though I could have emailed them for help (this is something they offer all their customers). It was a project I wanted to finish. The wool is SO gorgeous and soft. Even nicer than the pictures show. And the style is really cute. Before I just tried making long strips that I thought eventually would be a scarf but that didn’t motivate me. 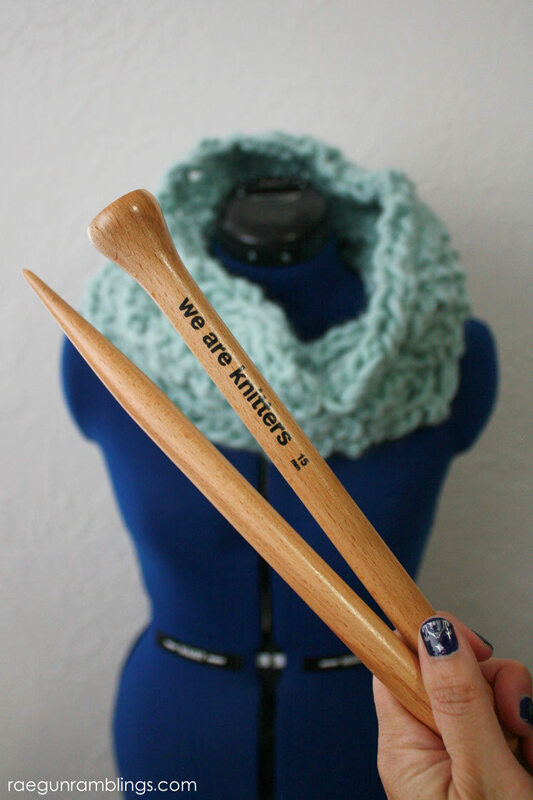 The We Are Knitters Kits really set you up so that you will be able to and excited to finish your project. 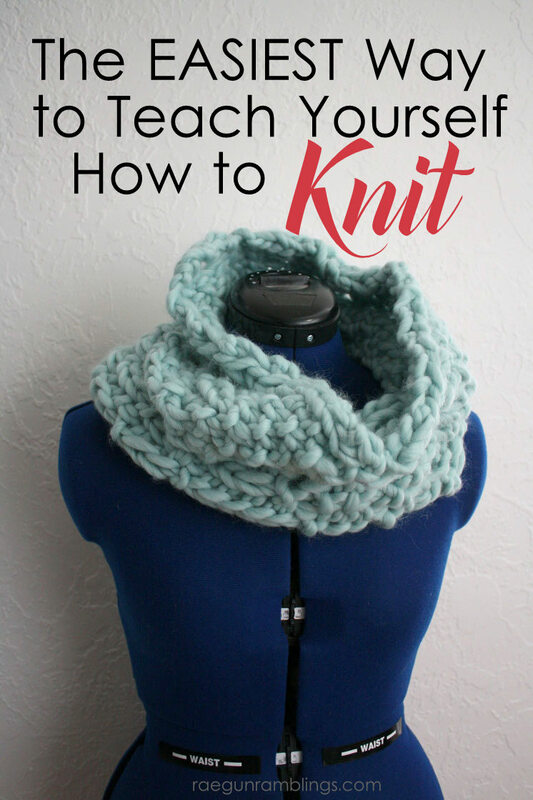 If you have been wanting to learn how to knit I HIGHLY suggest picking up the Downtown Snood kit. I’m so excited because they have LOTS of kits kits from beginner through expert (they have 4 skill levels). I have the little bear hat and scarf waiting for me now. The projects are all very on trend stylewise too which I reallllllly like. You can buy them without the needles if you already have your own stash. 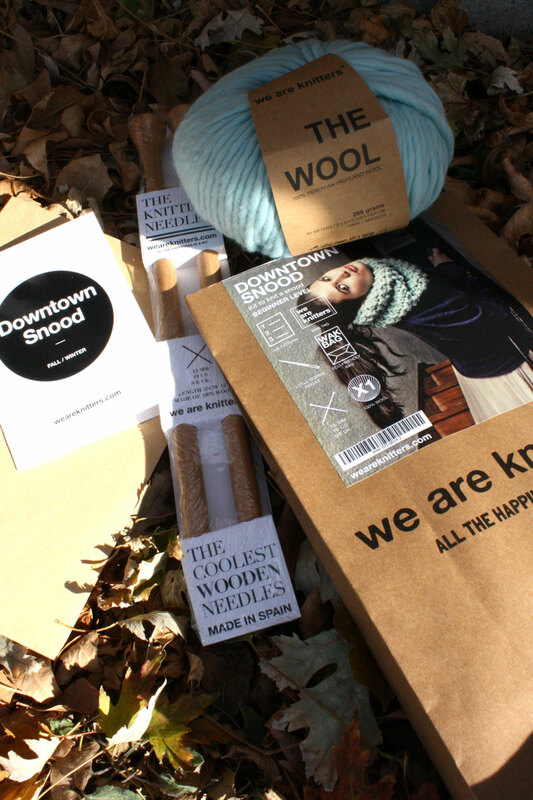 And if you have been wanting to learn how to knit I HIGHLY suggest picking up the Downtown Snood kit. I’m so excited because they have LOTS of kits kits from beginner through advanced. I have the little bear hat and scarf waiting for me now. The projects are all very on trend stylewise too which I reallllllly like. You can buy them without the needles if you already have your own stash but I love that you can buy them with (no risk of not having enough yarn or the wrong needles). I’m so used to speedy crafting but knitting is out of my comfort zone and it took me a while to “get it”. I watched the “casting on” and basic stitch videos, just replaying and retrying the stitches for about 2 hours before I felt comfortable going on. Once I got that though I was good to go. Still not as fast as you knitting pros but I was able to make this awesome infinity scarf that I’m totally obsessed with. 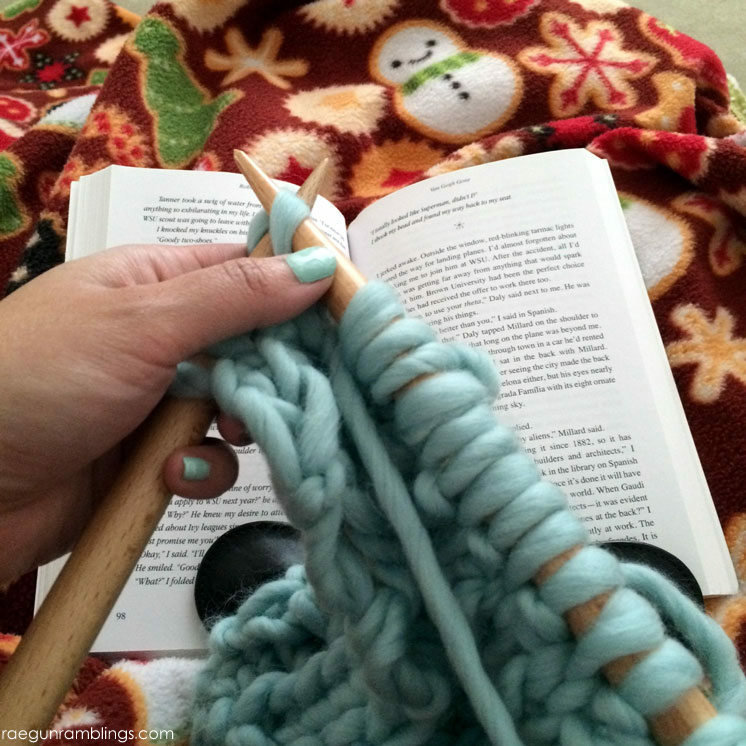 Any ways if you are interested in learning to knit, a new knitter, or even a seasoned knitter who doesn’t have to time to dig around for awesome patterns and go to the store to find the best yards and supplies you should definitely check out these kits. You can enjoy 15% off through Jan. 1st if you use the coupon code RAEGUNWAK when you check out at We Are Knitters. And one lucky person gets to win their choice of kit (up to $149 value most are by far below that!) GIVEAWAY NOW CLOSED. 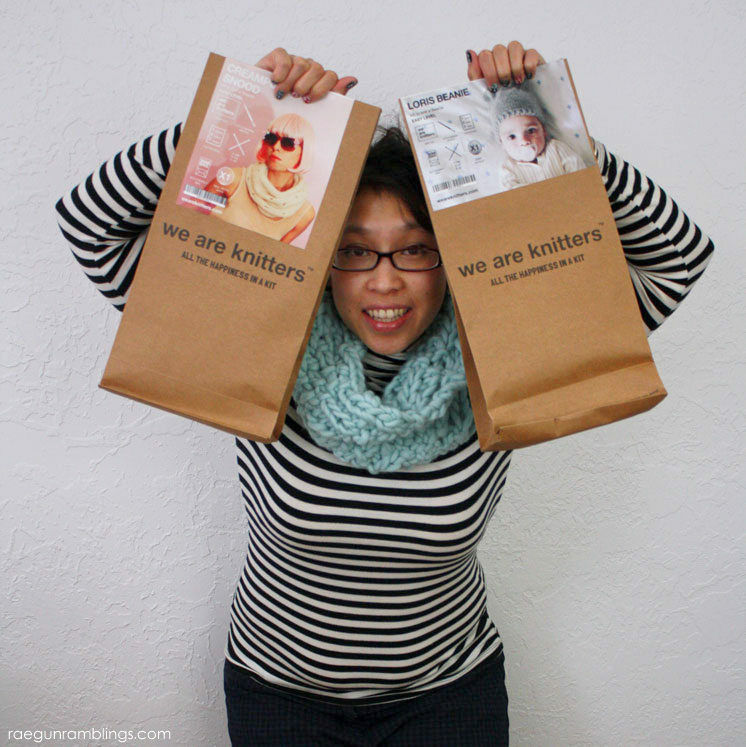 Thanks so much to We Are Knitters for providing the awesome kits for me to review and sponsoring this giveaway! The Udon Blanket looks so perfectly cozy! I love the Dragonfly Blanket kit! I like the vertigo sweater; the 1760 sweater and walnut blanket are a close second and third. I like the buttercream sweater kit. The bee blanket looks great!! Love it. How can I choose I’d like one of everything shown!!! Well there are a lot I like, but the one I like best in my skill level is the Creampuff Snood. I”m going to do that one next I’m so excited! Wonderful kits. My favorite is the cotton candy sweater. I have always wanted to learn to knit sweaters. I love the Dragonfly blanket. So many awesome kits and great price points. I love the look of the Charming Scarf. They say the kit is an Intermediate level and I’ve never knit before, but I like to live dangerously so that would be my choice! I love the Occular Sweater! I like the Riverside Vest! I love the cream puff snood! The Loris beanie is just too cute! this is awesome, I would love for you to draw my name, I have tried knitting but never have done well, this sounds like it might get me past that. 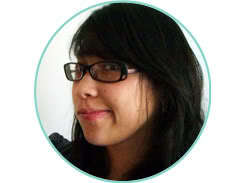 Thank you for such a great blog. Merry Christmas!! I also wanted to learn. My mom could but she is a lefty and could not teach me. Grandmother never did either. So this sounds like a good try. Good luck all. Sign me up! I’ve always wanted to learn to knit. The Beatle Beanie is so cute! That’s the one I’d pick to try out my knitting skills. I used to know how to knit (about 30 years ago), but I’d have to learn all over again now. Very interested in learning! I love the Udon Blanket kit. It is beautiful… I am a beginner knitter and this kit looks gorgeous. 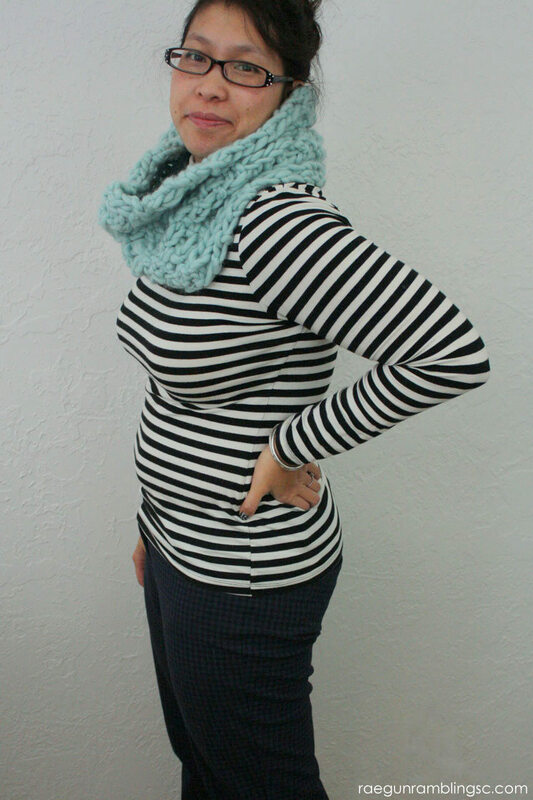 I would love the APPLE CRUMBLE SNOOD KNITTING KIT – EASY! The Sleepy Blanket looks great to me.